Then she buys a gun, and her world changes. For the first time in her life, she longs to get away. Owning a gun makes her feel powerful and independent. She starts practising her shooting on the range behind her hut. One day, when she gets there, she finds an injured cowboy and his horse. This discovery starts a chain of events that takes her from Canada to New York to London, and back to Canada; from Annie Oakley to the Younger Brothers, and Gabriel Dumont. Not so long ago I was a sensible girl, devoted to her mother, dedicated to moulding young minds and producing respectable members of society. Now I was a wild woman with a gun and a taste for blood and adventure. This Godforsaken Place is a good adventure story with a strong female protagonist, but the best part of it for me was learning more about Annie Oakley and the Wild West, as well as the Metis Rebellion in Saskatchewan with Louis Riel and Gabriel Dumont. Gault managed to smoothly weave these two very different historical episodes into the story of Abigail Peacock from Wabigoon, Ontario. Abe, the horse. He was a character in his own right. The Mark Twain quotes scattered throughout the book. Abigail’s gutsy nature and intelligence. It made me want to read “Roughing it in the Bush” by Susanna Moodie. The mystery of why the cowboy asks Abigail to carry out his request. Abigail and I were both on an adventure. Hers lasted about 3 years, mine about 5 days. Close enough. Abigail rode a horse, I rode a bike. Close enough. We both slept in tents. Abigail’s made from spruce trees, mine from nylon. Close enough. At the end of our trips, Abigail and I were both in desperate need for a shower. Successes come from great risks; failures come from harebrained gambles. How is one to know the difference between heroic perseverance and foolish clinging? 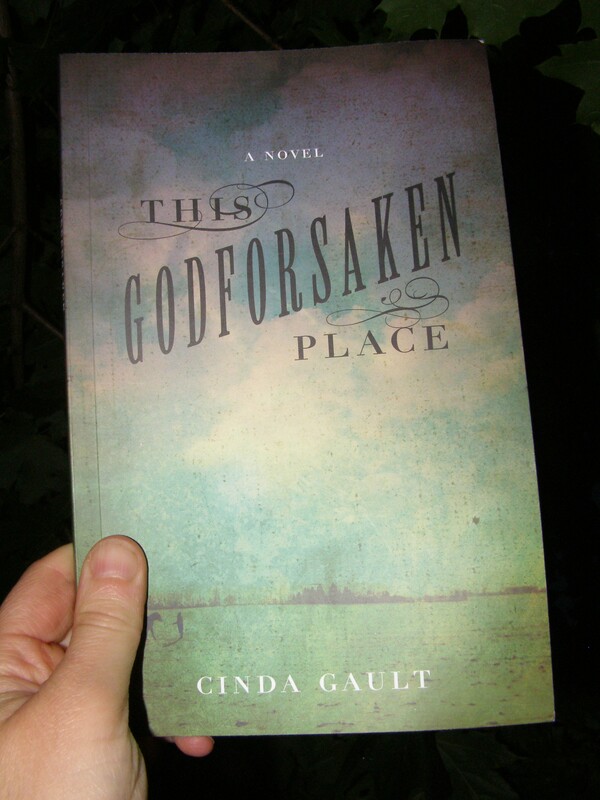 This Godforsaken Place is Cinda Gault’s first novel, and was sent to me by the kind folks at Brindle and Glass. Read it if you’re looking for an educational adventure! I liked your little list of comparisons. Ha, ha! How can you not like a book that has a horse named Abe. Exactly. And, do you want to know why he was called Abe? I’ll tell you. The cowboy who rode him was a confederate. He named his horse after Abe Lincoln so he could yell at him. Not a very nice guy, but he had a smart horse. Nice notation of ALL the really similar commonalities! Ha! Ha! You have a great sense of humor! This sounds fascinating…onto my TBR list it goes! 🙂 Nice review! Thanks, Lynn! It was a fun read – I think it’s one you will like! Oh, Abigail, I mean Naomi, you just pushed this book to the top of my birthday wishlist. Mark Twain, Annie Oakley, and adventure… sounds like a perfect summer read to me! You and Abigail are basically twins. “At the end of our trips, Abigail and I were both in desperate need for a shower.” You kill me! Tee hee. This sounds right up my alley. Thanks for sharing, Naomi! It was a lot of fun. And, I don’t think I’ve mentioned this yet, but I love, love the title! Oh, poor Northern Ontario. I agree this sounds like the perfect summer book with a good mix of story and characters. Good books always seem to find their way to you, Naomi! 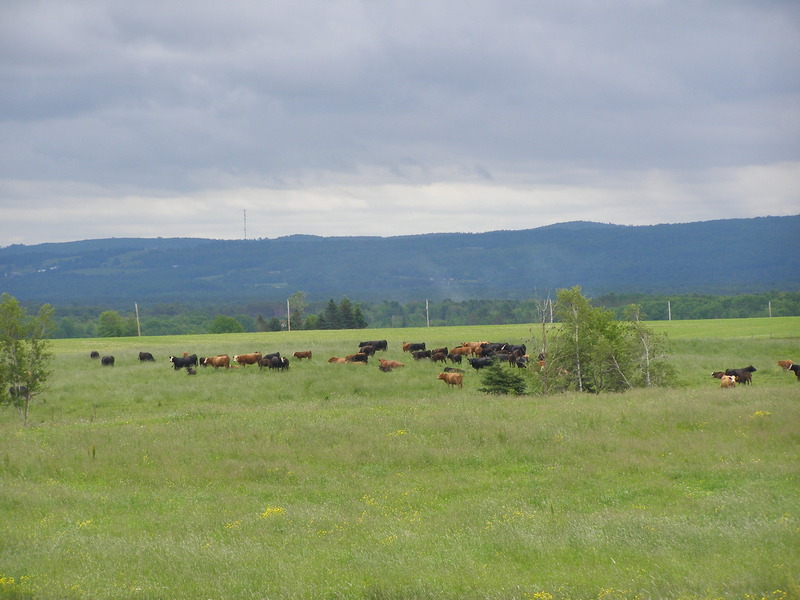 We have visited friends who live near Kirkland Lake and their families have been there for generations. They say they can’t imagine living anywhere else. It’s very beautiful country, but very remote too. In 1885, there probably weren’t a lot of things that made a woman feel empowered – especially in a remote settlement filled with men. For me, the book was a fun adventure, with a bit of a history lesson at the same time. A good light read! So I just finished reading this book, and I really liked it. I had to read up on all the history stuff about Riel, Dumont, and the Metis though, for it all to make sense. (Not that I minded a bit; I loved that I learned lots of new things.) I’m just wondering, and forgive me for this somewhat stupid question, but how big of a deal was this uprising in Canadian history? I have to admit that I know almost nothing about Canadian history, so I can only speculate. If it makes you feel better, I believe the biggest population of Mennonites in Canada is still in Manitoba, so they must have done okay in the end. That would make a good book! I’m happy to hear you liked the book! I also loved learning more about the rebellion, etc. To answer your question, Riel is a big name in Canada, even here on the East Coast. We all learned about the Rebellion in school, but not in a very entertaining way. I know I have forgotten a lot of the details. I believe there are quite a lot of books written about it, both fiction and non-fiction. Thanks for the info. I’ll have to read up a little more on Riel. I’m looking forward to the interview. So glad you liked it, TJ! I just received a copy of the book and can’t wait to compare notes with you ladies. But I will probably need to brush up on my Canadian history too! I look forward to that, Naomi!